A lovely classic from 1974. Here’s a very nice classic. 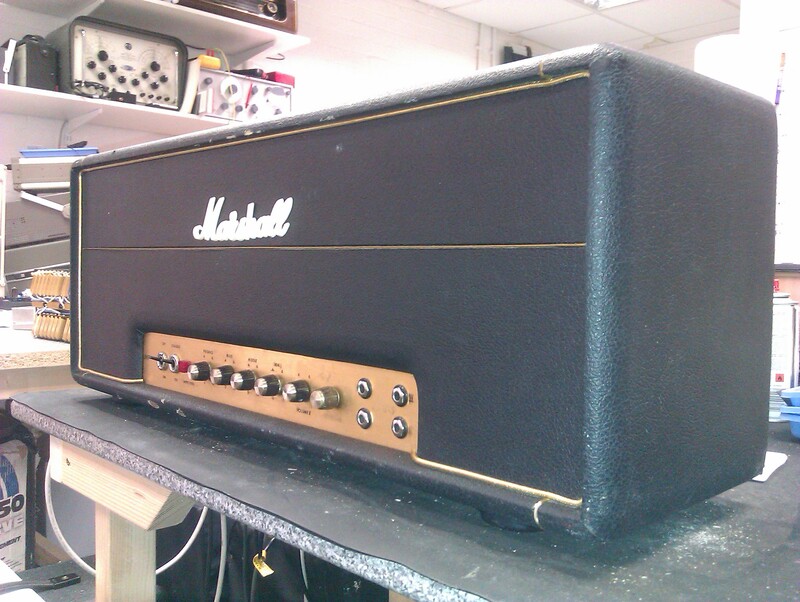 A Marshall Lead & Bass 50 (model 1964) from 1974. This one has been modified with our FX loop, discreet master volume control, and output stage bias test points. As the owner lives across the pond from us, the amp has also been converted to run on 110V.